Dubai, UAE, 5 February, 2019: The Middle East’s F&B industry needs to enthusiastically embrace advanced technology to help fight the region’s growing food waste dilemma, according to experts due to address the first-ever Gulfood Innovation Conference in Dubai next month. Speaking ahead of the Summit, which will run at Dubai World Trade Centre (DWTC) from February 18-20 as part of the five-day Gulfood exhibition, two leading experts on food waste have urged the region’s F&B players that only disrupting traditional working and operational practices will combat the problem. The advent of the ‘smart’ kitchen would go a long way to hugely improving industry efficiency, believes Ellis: “There are two areas where smart kitchens can have an enormous impact: firstly, by reducing the amount of repetitive manual labour that is a big part of much of food preparation, and secondly by reducing food waste, which is to some an extent an issue for most kitchens today. These innovations will come about both by developments in kitchen equipment, but also in the use of data mining techniques to allow chefs to anticipate how many of a certain dish will be ordered on a given day based on historical trends,” he said. With the industry facing up to a raft of next gen technology, including the Internet of Things (IoT), Barsties believes the industry is facing a major evolution in both commercial and private kitchens: “There’ll be total disruption by bringing the internet into the kitchen. Interconnectedness such as AI and IoT will have the biggest impact in the kitchens of the future. The bin could record what you're wasting and inform you on your next shop that you probably should buy less of a product because you consistently throw away most of it. The fridge suggests what to eat based on the expiry dates of the food in it,” he explained. With food waste one pressing F&B industry issue to come under the Summit spotlight, a recent report by engineering solutions firm Danfoss estimated that 40 percent of the UAE’s total waste is derived from food, while in Saudi Arabia alone, the economic impact of food waste is USD13.3 billion per year. The inaugural Gulfood Innovation Summit will see more than 40 industry experts from across the Middle East, India, Europe, the US and Africa take to the stage to probe the hottest topics impacting the F&B industry locally, regionally and globally. The Summit will also see the unveiling of a Global Social & Economic Outlook for the F&B industry, fireside chats with celebrity chefs and market outlook reports for Saudi Arabia, Egypt and Kenya. The Summit is one of eight new features integrated into Gulfood - the world’s largest annual food & beverage trade exhibition – which this year celebrates its 24th edition. Innovation is the byword for the 2019 show which will run at the DWTC from February 17-21 and take up more than 1,000,000 square feet with 5,000 exhibitors promoting a vast range of new products, concepts and technology. With a packed exhibitor house and vibrant new features, DWTC is confident that February 2019 will see the show attract upwards of 98,000 attendees from 198 countries. 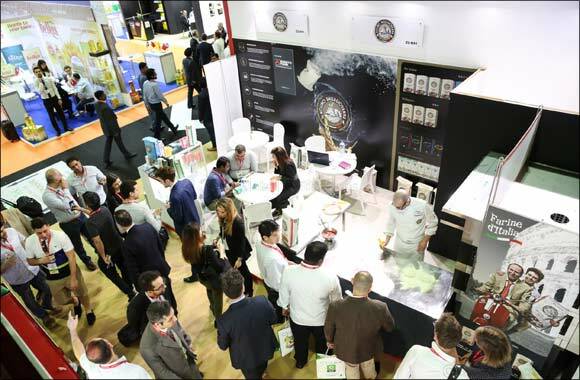 Together with Gulfood’s well-established features of Halal World, for the global F&B halal market, Discover Zone, which highlights industry innovation and the CEZVE/IBRIK World Championship, DWTC has widened the show’s scope and capabilities as it heads towards its 2020 silver anniversary.